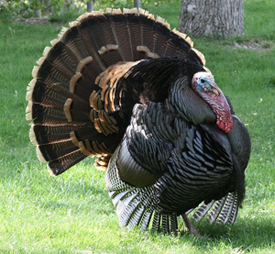 All About Turkeys - I AM Turkey Hunting! 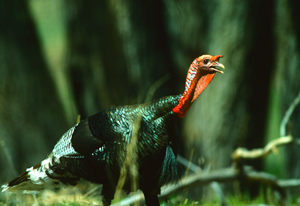 Most turkey hunters know that there are 2 different species and 5 subspecies of wild turkeys. 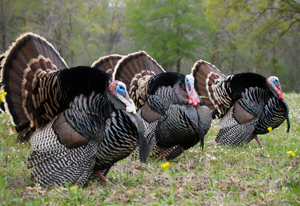 Those 5 subspecies are now huntable in the United States, thanks to the hard work of the National Wild Turkey Federation and its devoted volunteers. 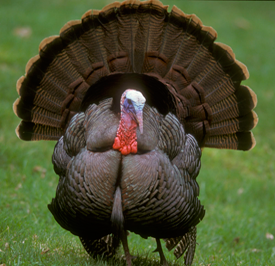 The 5 subspecies that are huntable in the US are the Eastern, the Merriam’s, the Osceola, the Rio Grande, and the Gould’s wild turkeys. 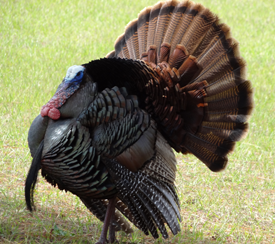 The Ocellated Wild Turkey is the only species that is not found in the US, as it lives in the jungles of the Yucatan Peninsula of Mexico. Despite the physiological similarities between all of the subspecies, their preferred habitats, their habits, and the methods used when hunting the different subspecies are greatly varied. Click on the different subspecies below to learn a little more about each subspecies and how to hunt it.